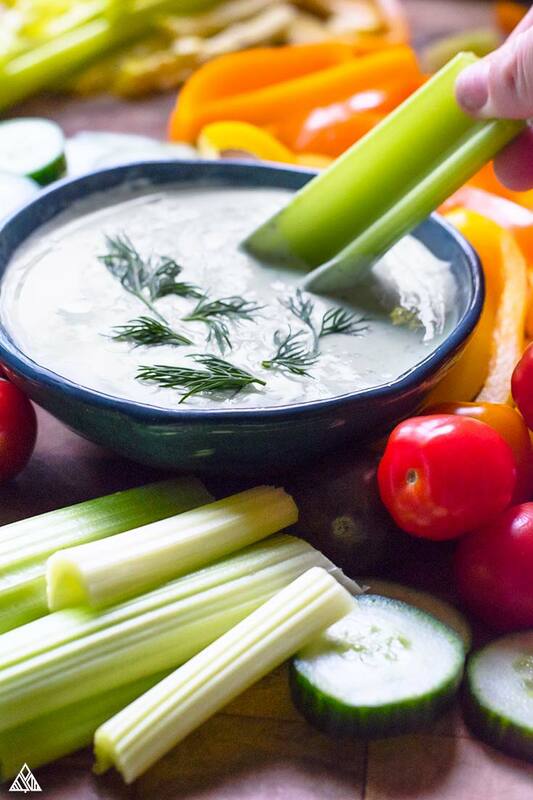 If you’re looking for fresh and tasty low carb appetizers, snacks, or toppings, you’ve come to the right place, because this veggie dip is the creamy, dreamy, healthy, treat that makes EVERYTHING taste better! 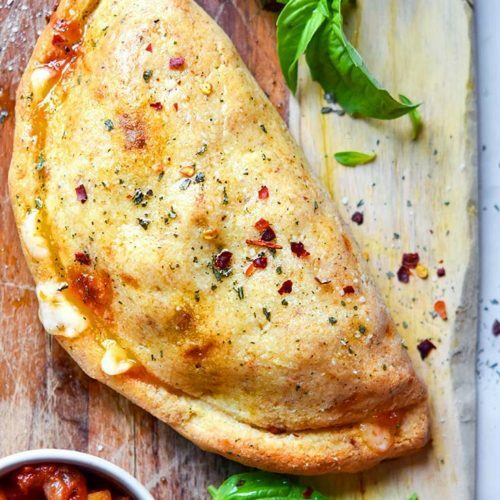 It’s chock full of fresh herbs and garlic, with just the right touch of lemon, to make any veggie taste delicious! 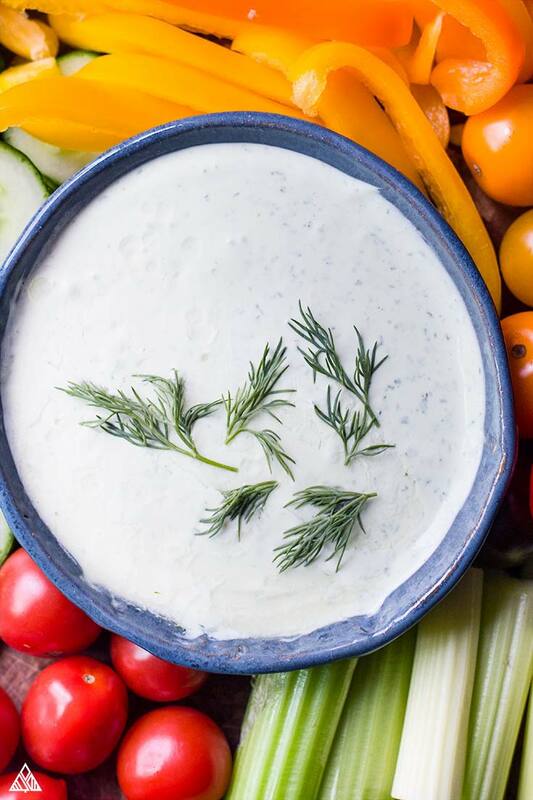 Serve it at your next BBQ for an awe-inspiring party plate, or stash this veggie dip in the fridge to help you sneak in some extra greens between meals. Did I mention how easy it is to throw together?! Now let’s make some low carb dips! Place all of the ingredients for this healthy easy veggie dip recipe in a food processor and process. It’s a good idea to pause the food processor and scrape down the sides using a rubber spatula, to ensure all the ingredients incorporate smoothly — even if they look to be incorporated, don’t skip this common food processor mistake! When the herbs are as finely chopped as you desire, transfer your dip to a bowl and start snacking! Maybe it’s not all that uncommon for any old run-of-the-mill veggie dip to be easy to make — but with this particular recipe, you truly wont believe that something this flavorful can be whipped up that quickly! There are so many exciting ways to enjoy this refreshing vegetable dip! From low carb snack ideas to low carb meal prep — it’s so delicious, you’ll be smothering all your favorite low carb foods in this veggie dip! 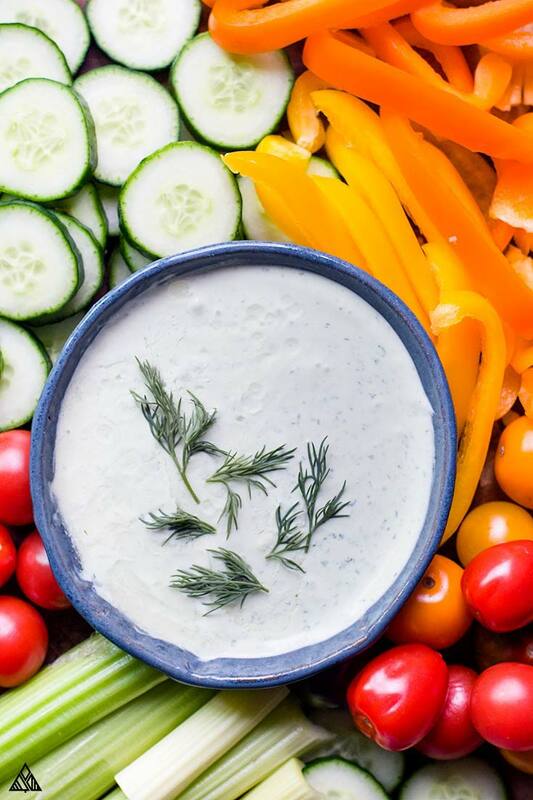 Serving this veggie dip as its namesake, against a colorful array of keto vegetables and low carb vegetables makes for a real showstopper at parties. It’s the fresh parsley, chives, and dill that make it pop next to the oranges, yellows, and reds in the wonderful world of veggies. I love to serve this dip with sliced cucumbers, celery, bell peppers and carrots. What’re your favorite veggies for veggie dipping? 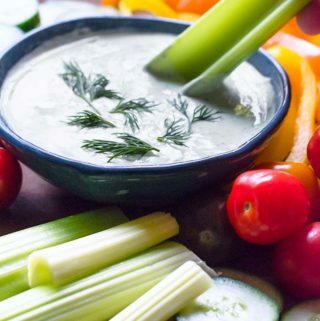 You can use this dip as a spread for sandwiches or burgers – Try making low carb cucumber sandwiches with veggie dip, or spreading in on a toasted piece of low carb bread. Doesn’t it sound delicious to use this dip as a dressing on your favorite salad? There’s also no reason you couldn’t use it as a dressing for cold salads like low carb coleslaw, rotisserie chicken salad, or keto tuna salad. Yumm-my! You can also use this dip as a sauce for meats or seafood. 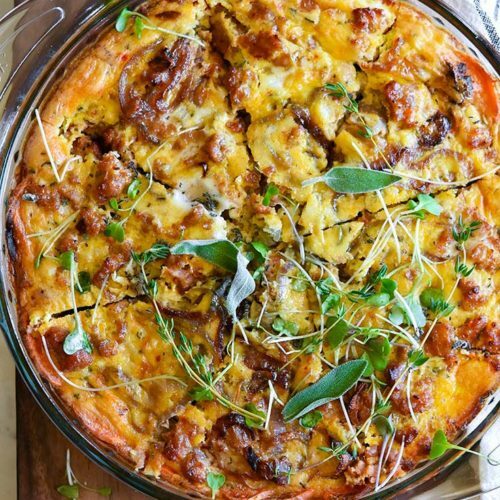 My mind goes straight to lamb, but it would be delicious with low carb chicken recipes too. Another great idea: sauce for fish tacos! As you can see, there’s no reason to go searching for the very best veggie dip to buy — this dip is incredibly versatile, and making it’s just as easy as taking a processed dip off the grocery store shelf! Unless you know something I don’t know (and if you do, please tell me in the comments below! ), creamy based sauces (like this veggie dip) don’t taste the same or look remotely attractive after being frozen. 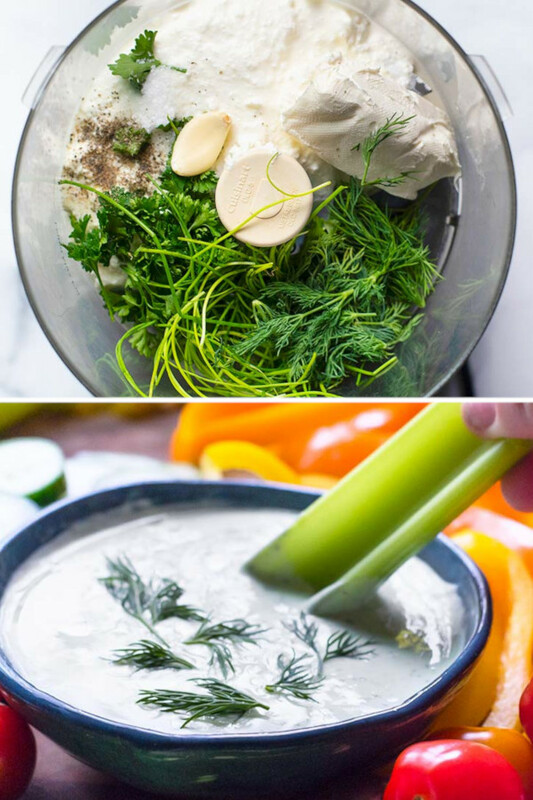 You can add a little protein while keeping your veggie dip keto friendly by simply swapping the sour cream for low carb greek yogurt! Veggie dip with greek yogurt is crazy delicious, in fact I always make this recipe with low carb yogurt instead! Not to mention, veggie dip without sour cream is a great way to balance out the macros in your meal. Experimenting with different herbs for this dip is a great way to make it a perfect fit it into your low carb meals. For instance, if you’re spreading it onto toasted almond flour bread with sliced tomato and mozzarella, basil would be an excellent additional to this veggie dip! I hope you become as big a fan as I am of this veggie dip recipe!!! Let me know what you think in the comments below — and don’t forget to include any variations you came up with! Happy dipping. 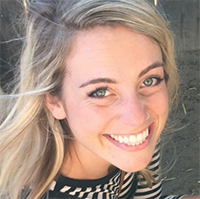 This easy, healthy veggie dip recipe is the answer to your "I can't eat another veggie" blues! Trust me when I say, it makes everything MORE DELICIOUS! Place all ingredients in a food processor and process. Stop machine occasionally to scrape down the sides. 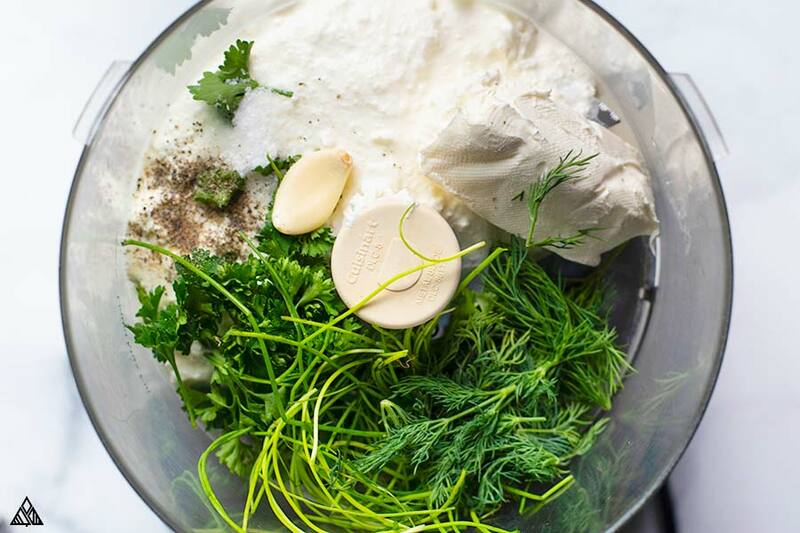 Once herbs are chopped as finely as you’d like, transfer dip to a bowl. 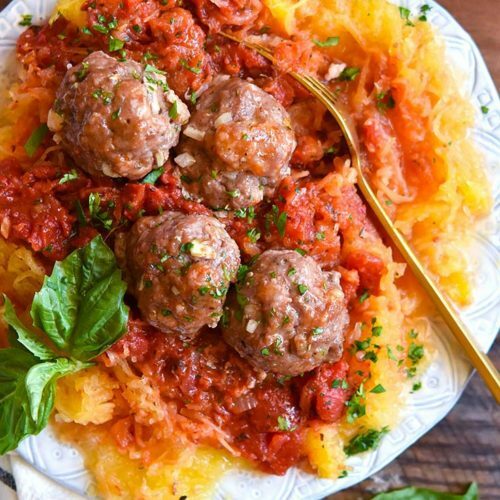 Serve with freshly sliced veggies and enjoy! This recipe makes 1 ½ cups of dip, which would make a serving equal to 2 tablespoons. « Low Carb Wraps – Suuuper Pliable, Soft + Delicious!